Child GPS tracking helped 5 families stay together. Using GPS tracking technology to monitor your child is a safety precaution you hope to never need. The world can be a dangerous place, as we all know, and simply living our own lives is often a stressful, frightening experience. This only intensifies when you allow your child to venture out alone or with friends. It’s an essential part of becoming independent and growing up, but that doesn’t make parents’ anxiety any easier to handle. GPS tracking can, and does, make a huge difference to children’s safety in our society. Here are five true stories that prove just how efficient this technology is. Hanzel Nunez was just 17 years old when he eloped without warning. Nunez has autism, and was known to wander off on his own, causing no end of worry for his family. In 2015, Nunez went out into the world alone, and ended up riding the New York City subway. This is not a location any parent would want their teenager to be on their own, let alone one who was more vulnerable than the average child. Luckily, Nunez was equipped with an AngelSense GPS tracking device, which proved vital in locating him. He was also easier to identify due to his wearing a Santa hat, which gave police searching for him a simple visual reference to look out for. The police conducted a thorough search on multiple train routes, but eventually caught up with Nunez at three o’clock in the morning one chilly December night. He had ridden through three of New York City’s five boroughs. Without the AngelSense tracking technology to aid police in their search, there’s no telling how much longer Nunez may have been alone in one of the biggest cities in the world. Aiden, from Satatoga Springs, Utah, saved himself after an attempted kidnapping. Aiden was just nine when he was grabbed while walking to meet a friend. A man in an SUV drove up to him and threw him into the back of the vehicle, where he tried to force duct tape over the boy’s mouth. However, Aiden managed to leap to safety (spraining his ankle in the process) and take shelter behind a nearby dumpster, evading his would-be kidnapper. Aiden showed even more impressive resourcefulness with his next move: he called his parents using the GPS tracking device he wore. They found him quickly and took him to safety, while the police went in search of his attacker. It’s a simple story that shows just how powerful GPS tracking can be. 11 year old Brett’s autism led him to go missing for nearly 90 minutes in dense woods. It began when he and his parents went for a walk in a large area (11 acres), but Brett ran away from them. 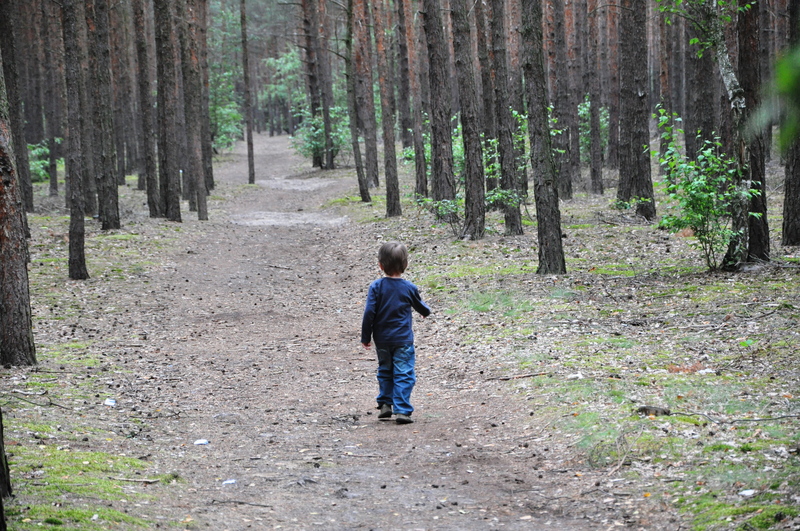 Try as he might, his father just couldn’t keep up with Brett – and the boy vanished from sight. In such a spacious area, with countless trees and a pond, the parents knew they had to find him as soon as possible. Fortunately, they had given Brett a GPS tracking device. This allowed them to monitor his location in real-time, and they were able to relate this data to the search and rescue team on Brett’s trail. The GPS tracking was credited with helping to save Brett’s life and giving the police department a key aid in locating the boy. In August 2015, a woman in Rowlett, Texas, helped to save her daughter. At the time, the girl was just 15. She has Asperger’s syndrome, and had been given a GPS tracking device to provide valuable peace of mind to her parents. She went for a walk through the local neighbourhood, as she often did – but ended up being lured into a car by a sexual predator. The attacker threatened to hurt her if she didn’t get into the car. This happened just 150 yards from the family home. Fortunately, the GPS device sent SMS and email alerts to the girl’s parents to notify her that she was not following a familiar route. This is just one of the common features found in GPS tracking technology, which makes them especially effective for families. The mother climbed into her car and drove to the location her daughter’s device specified. On her way there, she listened in using the audio capability, and heard sounds of a struggle. She later realised this was the sexual assault taking place. When the attacker spotted the device, he asked what it was. The girl informed him it was a tracker, and that only her mother could remove it using a key. This was enough to stop the man in his tracks. He drove her back to the place from which he collected her, and she was able to leave the vehicle safely. If not for the GPS tracker, this harrowing story could have been much worse. Dayann and Brian McDonough have two autistic sons, Douglass and Donovan. Both boys would regular wander away from safe environments on their own, without notifying anyone of their intentions. Douglass was 10 at the time, while Donovan was eight. Both attended different schools in Merrick, USA, and had strayed multiple times before their parents decided to equip them with GPS tracking devices. Mr and Mrs McDonough were terrified that their sons, being so young and vulnerable, would wander into danger without realising – making it almost impossible to locate them. They made the news when they faced resistance from school officials with concerns about the privacy of other students, due to the devices’ ability to monitor audio. An agreement was made, and the McDonough boys were able to stay safe without causing their parents undue panic. The McDonoughs cited the tragic case of Avonte Oquendo, a 14 year old autistic boy who died after leaving his school without supervision, as an example of their sons’ need for monitoring. This led to the creation of Avonte’s Law, which led to increased security in schools to minimize the risk of unsupervised wandering. Douglass and Donovan’s safety and security was heightened considerably with the GPS devices, reducing the life-threatening dangers they may have faced when venturing out on their own. These five true stories show just how important GPS tracking can be for families. Parents can monitor their children’s movements and stay aware of any changes in the usual routines, while the child can still enjoy independence without being entirely on their own. with various features and designs to suit children of all ages. Aigerim Berzinya is the marketing director at Turtler GPS Ltd. and as the company's globetrotting backpacker uses the app and SHELL device while hiking abroad or in the mountains to stay connected and safe. Why don’t children come with a GPS?